I’m actually in my own bed now! After sleeping on the couch for almost a week while my brother and I switched rooms, I am very excited to be back in my own bed! The rooms turned out really nice. I love the colors I chose; they are warm and cozy. 🙂 Today I decided to try the juicing recipes since after having so many late nights and early mornings this past week I am coming down with a cold. 😦 I’m hoping the juice will help give me a fighting chance. 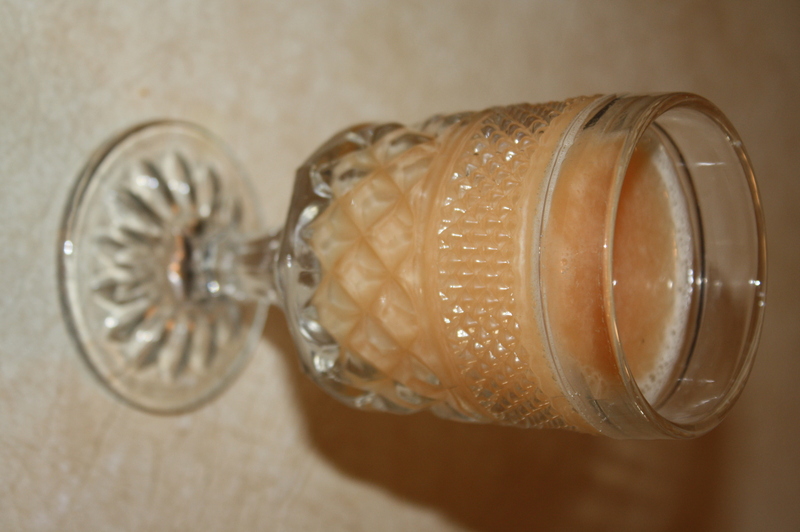 Grapefruit Juice pg. 193 Okay, minus that it was really bitter! Benefits: Rich in vitamin C. Bioflavonoids in the white pulp strengthen capillary walls and help the body retain and use vitamin C. Helps: Colds, bruises, fever, and Varicose Veins. Orange Juice pg. 193 Good! Fresh orange juice is much healthier for you then the pasteurized product bought in the store since it still has living enzymes. 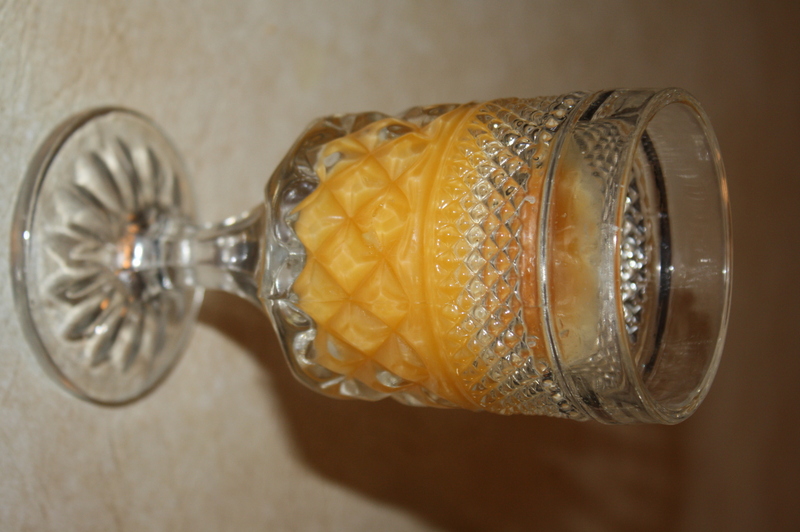 Grapefruit Orange Juice pg. 193 Much better way to have grapefruit juice! It cuts down on the bitter taste. Apple Juice Pg. 192 Yummy! Lots better flavor than the frozen concentrate bought in the store! Carrot Juice pg. 185 It was good. I don’t mind strait carrot juice but for those not wanting that strong of a carrot flavor making Carrot Apple Juice pg. 186 is a good alternative. 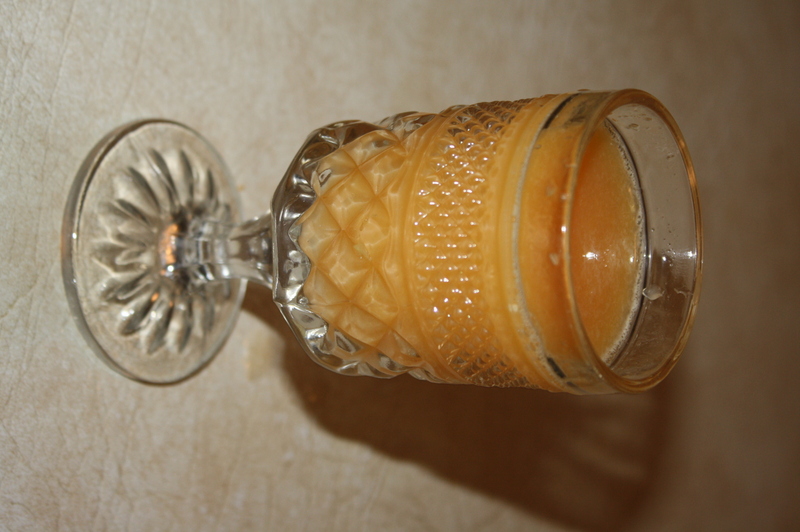 Carrot Juice helps: Acne, Arthritis, Asthma, Cataracts, Diabetes, Liver disorders, and Ulcers. 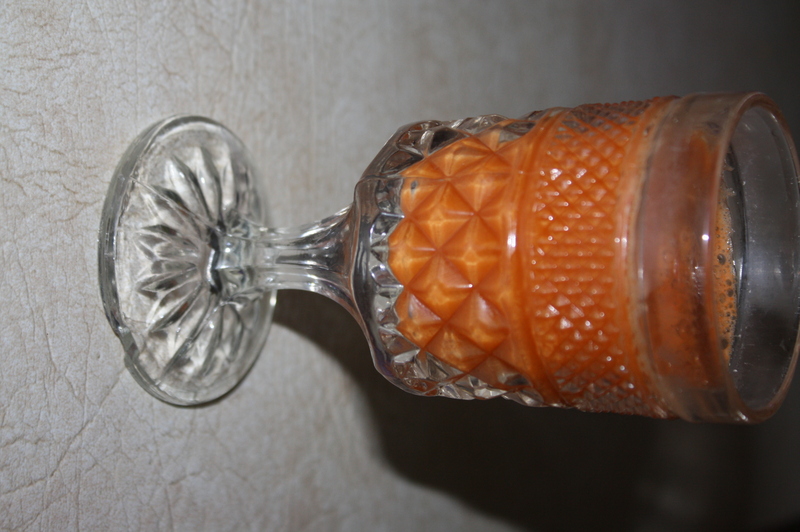 Carrot Celery Juice pg. 186 (Note picture below is celery juice before the carrot juice was added) I was surprised at how much juice 3 celery stalks contain! I like this juice more than I thought I would. 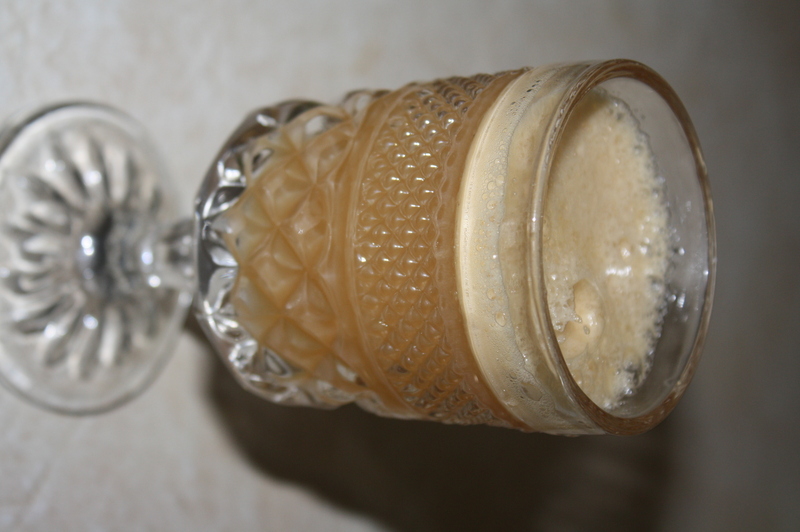 Celery juice helps: asthma, bronchitis, insomnia, kidney and liver disorders, calm the nervous system. Carrot, Apple, Celery Juice pg. 186 This was a great way to get the benefits of all 3! Had a great flavor too. These all look so tasty! I’m surprised to read that carrot juice is good for diabetics as I was thinking carrots were high on the glycemic index. I’ll have to look into that! These all look so good. How bad was the clean up from the juicing? That’s what keeps me from doing it and I know I should get it into my routine! They are yummy. 🙂 We own a Green Life Juicer and the clean up wasn’t bad at all. I thought it was definitely faster than making a salad. I was thinking on busy days when I don’t have much time to spend in the kitchen preparing and eating raw vegetables and fruits I will juice instead. That way I’m still getting all the nutritional benefits without all of the hassle. It’s less time to drink a salad than eat one! It might take more time at first but once you get the hang of it, clean up goes pretty fast. The key might be cleaning up right after you juice so it isn’t a lot of scrubbing. If I remember, I’ll try to time myself and let you know.